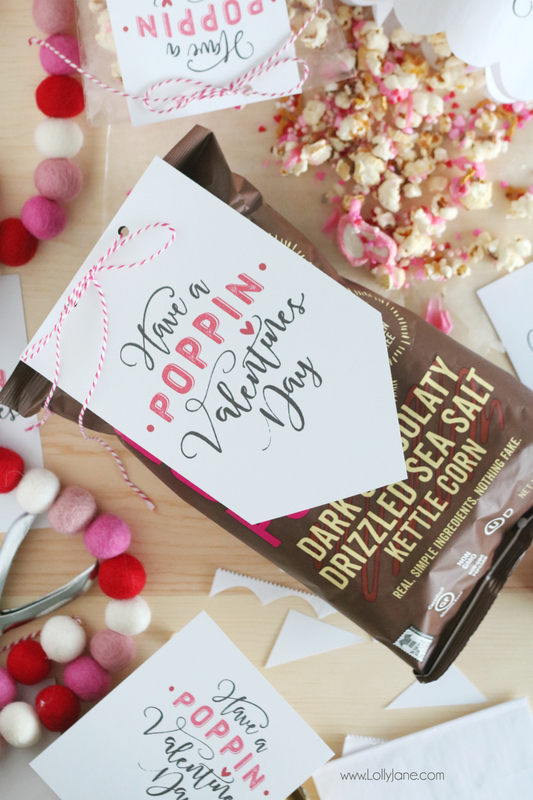 Today’s cute post is sponsored by Angie’s BOOMCHICKAPOP popcorn, as always, opinions are our very own. I would confidently say my kids favorite Holiday, second only to Christmas, is Valentine’s Day. 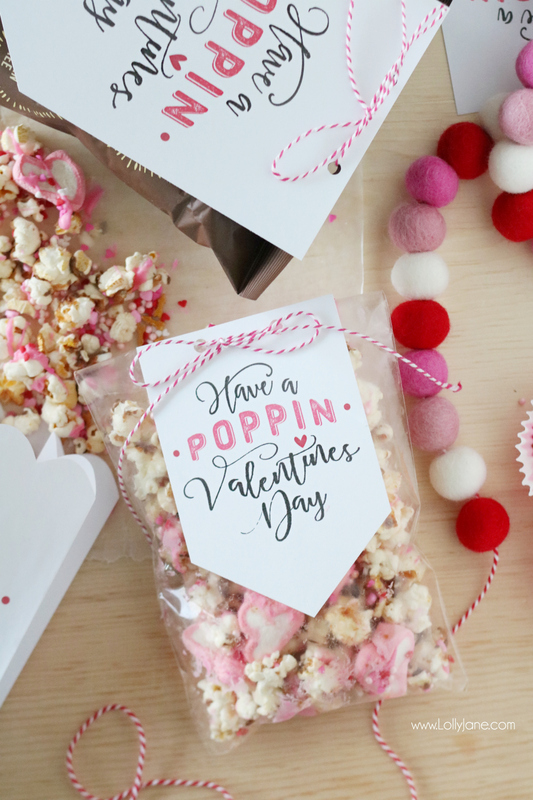 If you’re like me and tired of handing out the same boring sucker for this sweet holiday, simply print off our newest printable tag and pair it with our Valentine’s Day Smothered Popcorn. They enjoy feeling loved, and of course, making silly Valentine’s boxes for all the fun Valentine’s they receive at school. I have yet to meet a child who doesn’t LOVE popcorn! 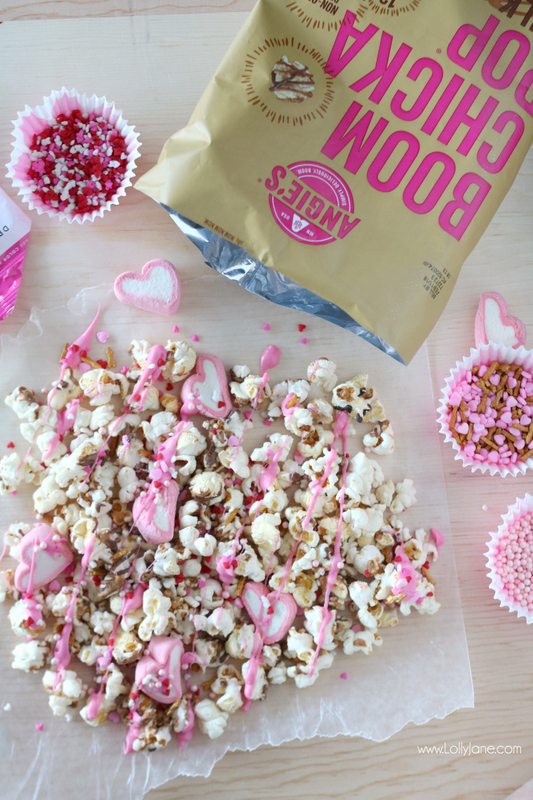 We prefer Angie’s BOOMCHICKAPOP popcorn as it’s not only full of flavor, but it’s made with real, simple ingredients (nothing fake!) 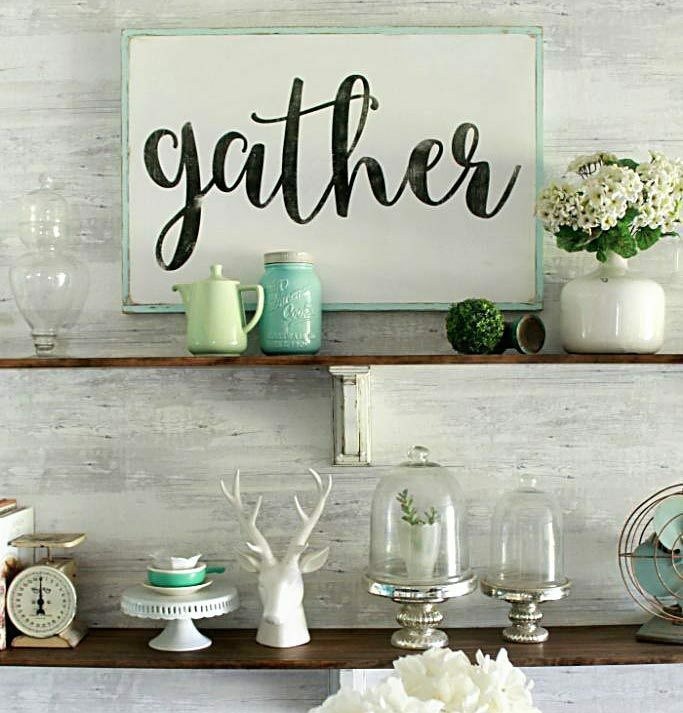 so we feel like that’s a total Mom Win in our book! We all know snacking is the best part about life, especially when you’re a kid. I like to celebrate all the small victories around here, haha! 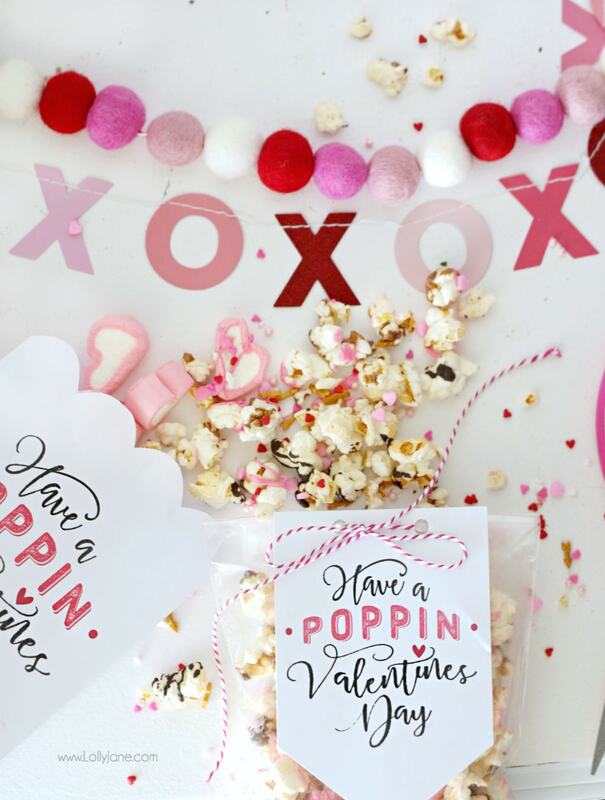 Each bag of Angie’s BOOMCHICKAPOP’s popcorn is backed by the brand’s live out loud attitude and their stellar packaging reflects that… which is why I’ve included an XL size print you can just tie onto a bag of Angie’s BOOMCHICKAPOP’s popcorn and bam. Let cool completely then bag up or enjoy for you! 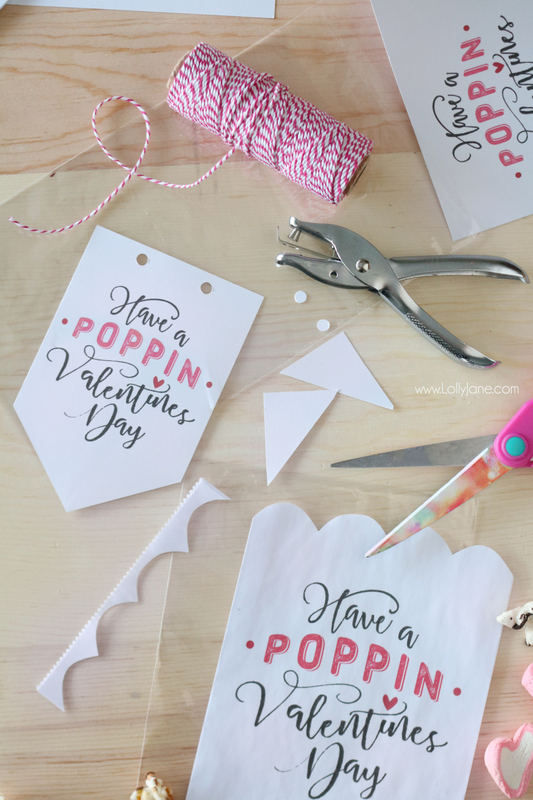 You can look like you’re going the extra mile and print these directly onto a white or tan paper sack when in reality, you’re just skipping an extra step of printing separately, then cutting + tying onto a baggie! 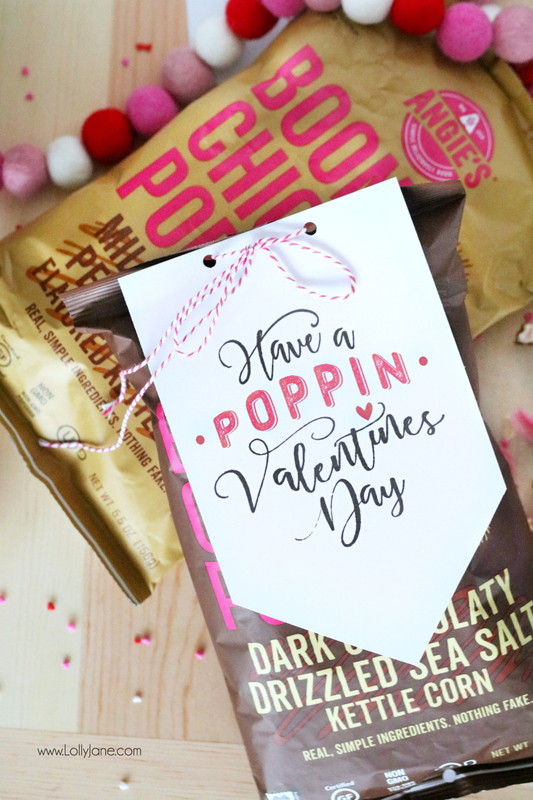 😉 This idea was inspired from Amy’s darling hand lettered treat bags, so cute! 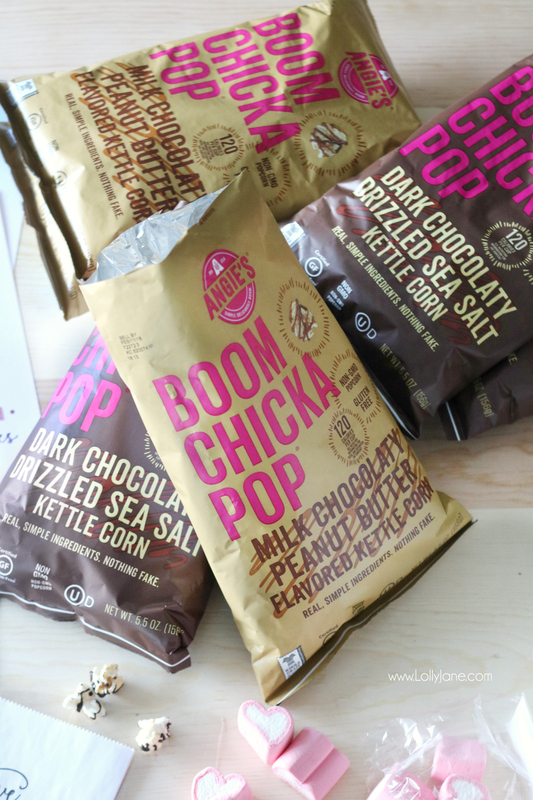 A big thank you to Angie’s BOOMCHICKAPOP popcorn for sponsoring today’s post. Follow along to see even more flavors on Facebook, Twitter and Pinterest @boomchickapop or Instagram at @AngiesBOOMCHICKAPOP, and click the trending hashtag #crushit! 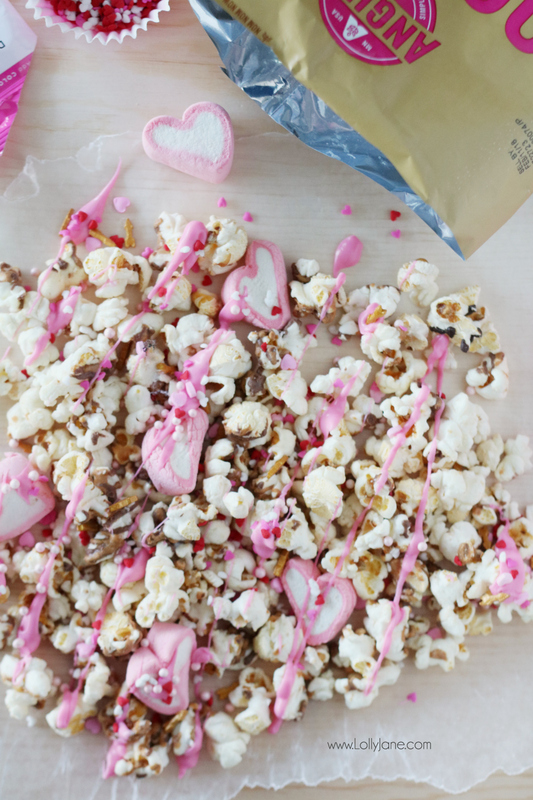 See even more YUMMY Popcorn Recipes! Previous Post: « 12 Painted Pink Door Ideas, so cute! Valentine’s Day is really fast approaching! This recipe is perfect. The tags are also beautiful! LOVE this recipe! I made for the kids to take to school today and it was a big hit. I used regular popcorn because I did have time to go to the store yesterday. It worked out perfect and the kids at the school loved it. Thanks for sharing awesome recipe. These tags are darling! Is there any way I could make them smaller? So it would fit maybe 12-16 on an 8 1/2 x 11 sheet. I want to do some mini bags for my pre-school group, and these are too big for that. Thanks!